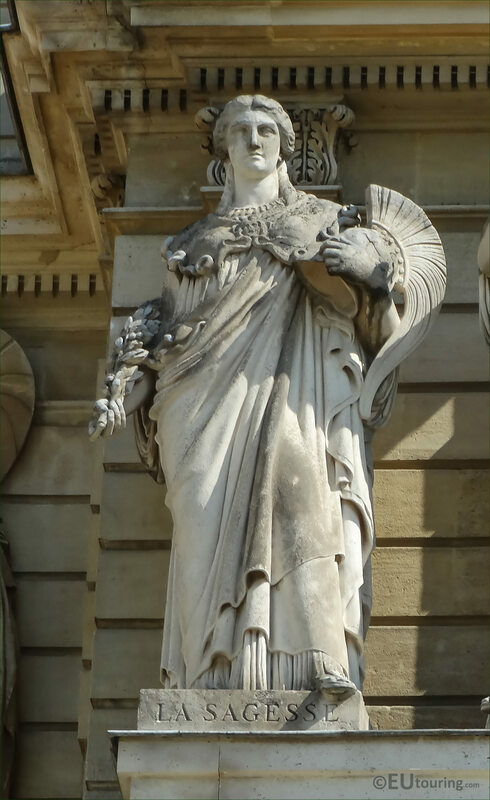 Again we were visiting the Luxembourg gardens that are a popular free park in the 6th Arrondissement of Paris, and while there we were admiring the facade of the Palais du Luxembourg with its statues, and these high definition photos show the statue called La Sagesse, by James Pradier. So this first HD photo shows a close up of the statue called La Sagesse, which in English translates to The Wisdom, and this allegory was created by the French sculptor James Pradier, who was actually born Jean Jacques Pradier. Now having won the Prix de Rome, enabling him to continue his studies at the French Academy in Rome for four years, he became a well recognised sculptor, and a favourite of King Louis Philippe I who reigned during a time known as the July Monarchy, which meant he received several commissions for busts of the royal family along with numerous other commissions including this one of The Wisdom. 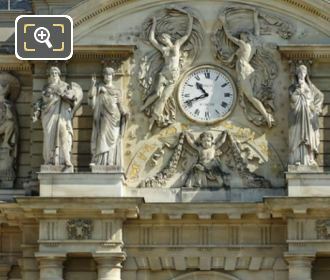 And in this image you can see the entire sculptured facade surrounding the clock on the south side of the Palais du Luxembourg, which is home to the French Senate, and you can admire the statue of La Sagesse along with the others from the formal garden area where the Grand Bassin is located. 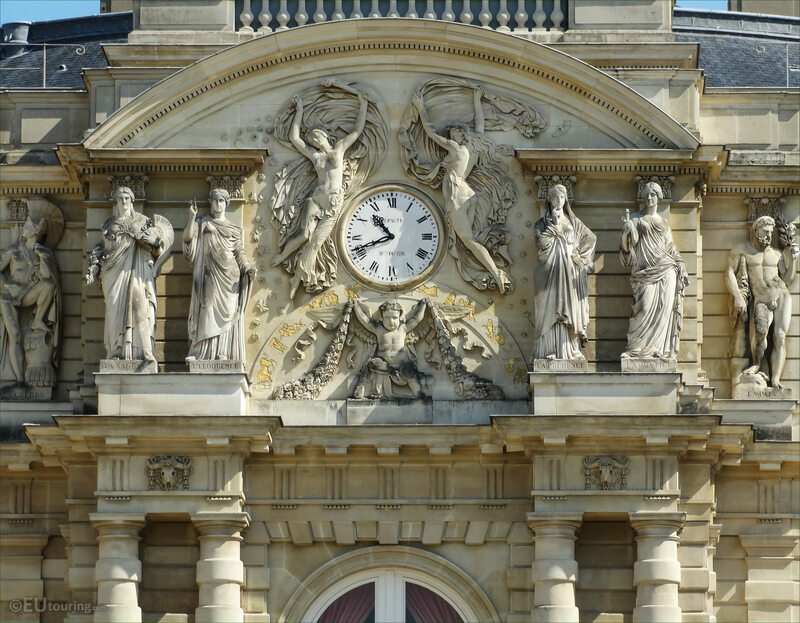 But to give you more of an idea as to which one this is, La Sagesse is the second statue to the left hand side of the clock above the pillars on the famous tourist attraction of the historical Luxembourg Palace.